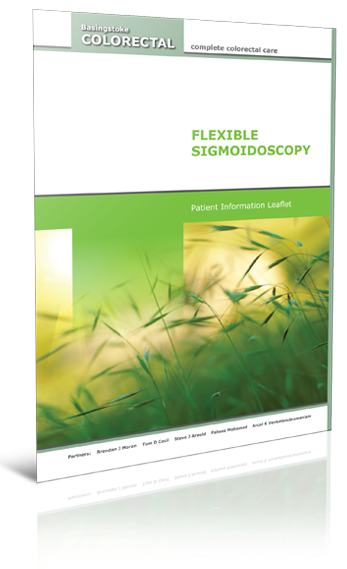 The examination you will be having is called a flexible sigmoidoscopy, also known as an endoscopy. This is an examination of the lining of the left side, or lower large bowel (colon) to establish whether there is any disease present. This test also allows us to take tissue samples (biopsy) for analysis, if necessary. The instrument is called a flexible sigmoidoscopy (endoscope); a flexible tube about the thickness of your index finger. The endoscope has a light and a camera on the end. The camera sends out pictures of the lining of your large bowel to a screen where the consultant is able to look at them.